And it's time to wake up from them, and have a truly abundant life! No matter how the economy is doing, whether you have enough clients or a good job, and without needing to know the latest marketing strategies or sales tactics for growing your business and income! Wealth Creation Isn’t MAGICAL, MYSTERIOUS, OR PERSONAL... IT’S PRINCIPLE. When You Apply the Right Principles In The Right Way, YOU GET THE RIGHT RESULTS. But it gets better…a lot better. You can create sustainable abundance in every area. -- but so you can finally become free. 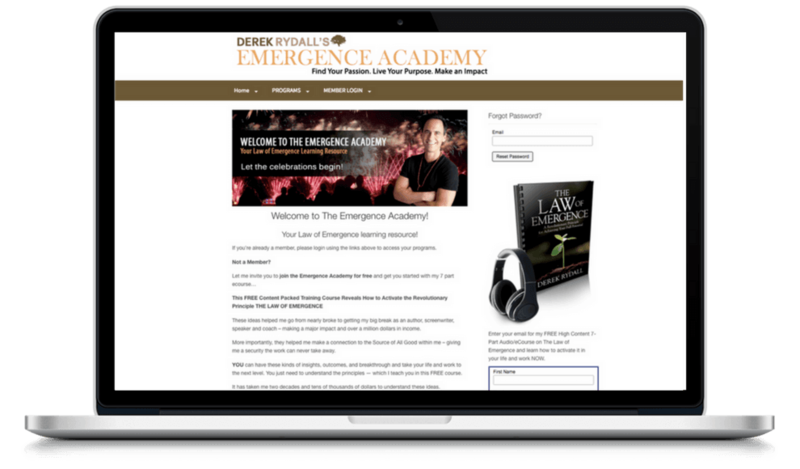 You learn how to get more clients – then the economy collapses. You learn how to launch your business – then the competition takes away your clients! There’s no security in strategies and tactics – no security when you put your faith in a world constantly changing. Because it gets you rooted in your natural wealth-creating capacity, just as the roots of a tree allow it to produce a harvest of fruits season after season. Having More Than Enough Again! This is not only possible, it's already been given to you! Wealth isn’t what we’ve been taught, and isn’t located where we’ve been told. Stocks, bonds, mansions and money – none of this is wealth, they are symbols of wealth. And when you believe things out there are the source and substances of your wealth, you are a slave to them, a victim of circumstances, and a prisoner of conditions. when you know the real source of wealth and how to access it – you have a virtually unlimited supply to meet all your needs abundantly forever. This is not an exaggeration. This is a principle. And the truly wealthy people who have walked this planet, operated according to these laws (whether they knew it or not). I've known many millionaires who were full of fear because all they had was a pocket full of symbols – and they knew deep down that at any moment it could all go away. THAT'S NOT WEALTH, THAT'S POVERTY. THAT'S NOT WEALTH, THAT'S SLAVERY. But there is a way to have all your needs abundantly fulfilled, with more than enough to spare and share — and an abundance of time, energy, and connection to enjoy it all. This is real. This is how you were created to live. I'm telling you what I know. Like electricity, just knowing it exists doesn't give you its benefit. You must know the laws behind it and how to apply them to harness it, right? The ability to build computers and send rockets into space existed when man dwelled in caves – but without the right understanding of the principles and practices to channel these hidden forces, they were stuck with sticks and stones. This is the same with your wealth. The energy and substance of abundance is everywhere equally. There's as much where you are as there is where the wealthiest people on the planet are. IT’S NOT LUCK, IT’S LAW. the law of the soil will grow it. If you get into the water and adjust your body in accordance with the principle of buoyancy, it doesn't matter how many years you've been sinking – you will float. The principle can't say, "You've been sinking for so long that you'll never float. It's going to take years to heal from all that sinking before you can float again." No! The minute you come align with the principle, it works for you. Every time. And when you understand the specific laws and principles of conscious wealth creation, and organize your life around them, they must generate lasting abundance. That Generates Wealth & Abundance! 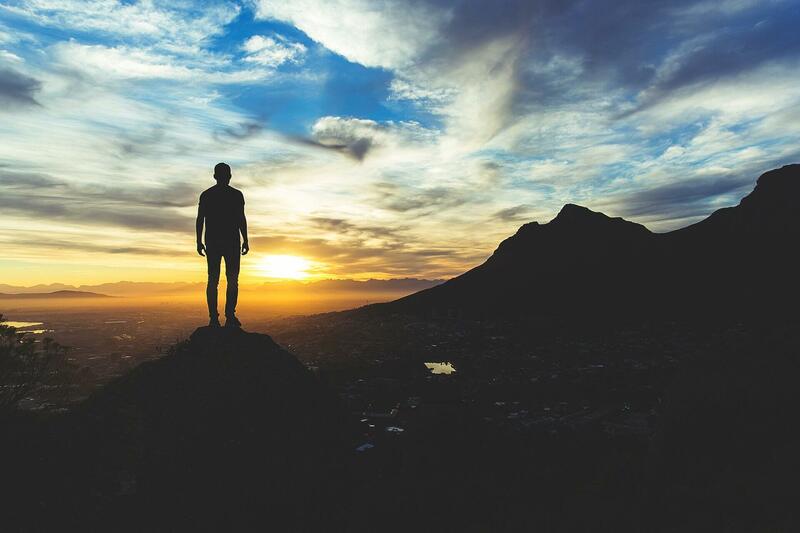 Just having a knowledge of how wealth is created, or some temporary inspiration, motivation, or momentum isn't enough to create a sustainable life of abundance. THEY HAVE A LIFE BY DESIGN NOT BY DEFAULT. They don't just read a book, take a class, or do some good things here and there, then hope things work out. They don't have a wishbone, they have a backbone! They have specific daily practices, rituals, goals, and plans – all in support of their vision of wealth, success, and excellence. They have specific inner and outer habits – mentally, emotionally, physically, spiritually – that are in alignment with their highest vision of abundance. The way they walk, talk, and interact with others — and the kinds of people, places, activities, and things that fill their environment — are congruent with their deepest desire. Their inherent potential is always more powerful than their problems. ...that walks you step-by-step through mastering these principle of lifelong abundance, then shows you how to DESIGN A WAY OF LIFE that makes it manifest and sustainable. FROM LIVING ON 19 CENT MACARONITO MILLION DOLLAR HOMES! All from an ever-deepening connection with a source within that the world didn't give me and can never take away. Plus, it wasn't just more money that showed up, more of ME showed up. 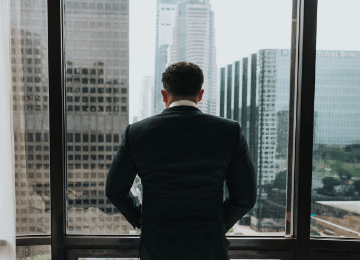 More abilities, capacities, confidence, talents, and power – free from the guilt and shame that the shadow side of wealth and success has put upon so many good-hearted people. And it wasn't a fluke. Past students have made MILLIONS and ERASED TENS OF THOUSANDS IN DEBT. PLUS, when you understand these principles, and design your life around them (which I'm going to show you how to do), you not only prosper yourself, but every transaction you have with others increases their good. OR WHAT?! Never again do you have to feel guilt or shame around being wealthy and successful or asking for what you want and charging what you're worth. 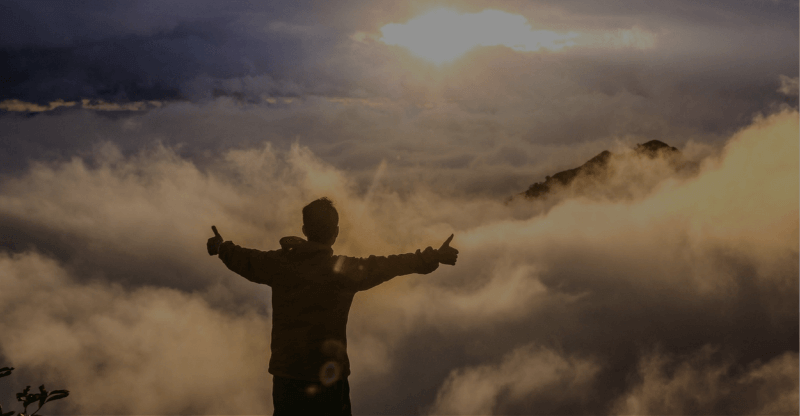 Never again do you have to make excuses or make apologies for being brilliant, abundant, powerful, and prosperous – instead you'll be a role model for how good life can be. MASTER THE ENERGY OF MONEY,MANIFEST MORE THAN YOU CAN IMAGINE! 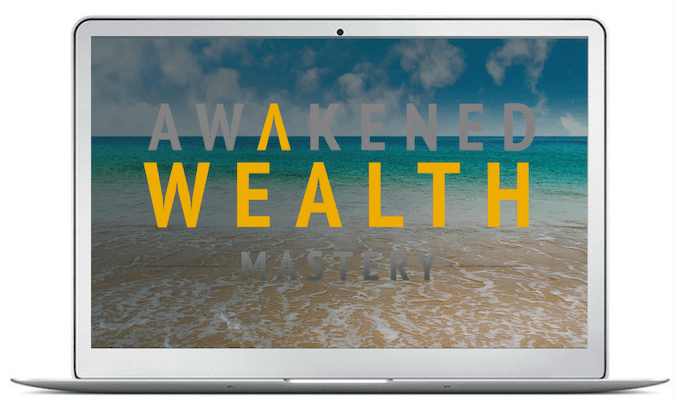 Awakened Wealth Mastery gives you a deep-dive, step-by-step training system with tools, techniques, and strategies for implementing a revolutionary approach to mastering the energy of money and manifesting all your needs. As you go through it, you'll be guided by me through the 5 core wealth-training modules and 8 weeks of recorded coaching/activation calls, where I help up-level your latent wealth capacity and dissolve the limited beliefs and frequencies that have been unconsciously sabotaging your success. During these coaching sessions, I work 1-on-1 with students to break through the hypnotic wealth spells, integrate the wealth shadows, and activate the highest vision of abundance – and you will FEEL THE SHIFT from these high-frequency-encoded activations. 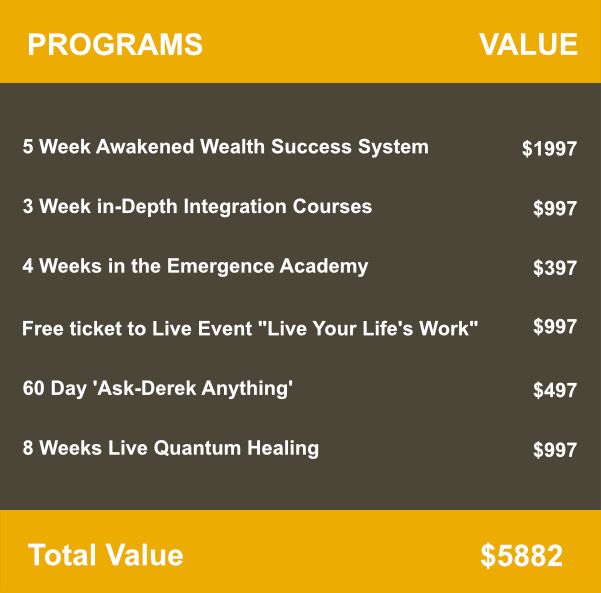 During the three weeks of Integration Workshops, we'll go deep into how to Charge What You're Worth, Clear Limited Wealth & Success Beliefs, and Create the Life Design that supports it all! You'll also be part of a private mastermind where you'll find accountability partners, additional support, answers to your questions, and solutions to your challenges. PLUS, you'll get an additional period of Maintenance Group Coaching Calls with me, and weeks worth of additional follow up Q & A in the group. In other words, you'll have everything you need to create a life of sustainable wealth and abundance in every area! 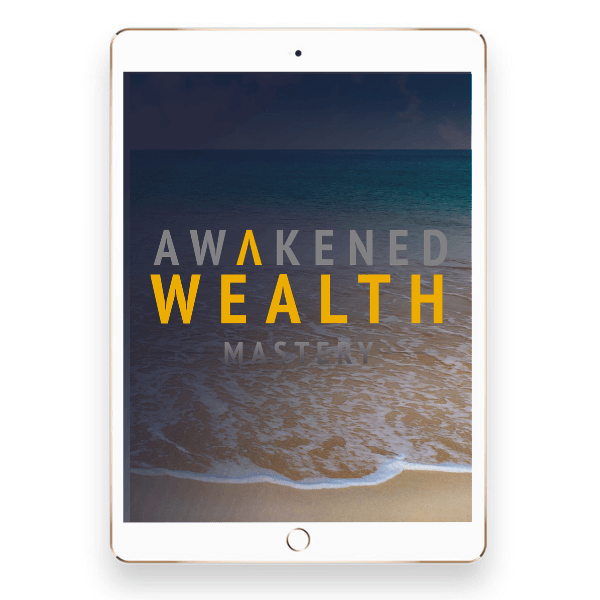 Awakened Wealth has literally transformed the whole conversation and experience around wealth, money, and mastering manifestation in all aspects of life. 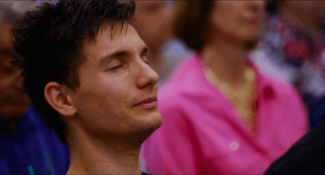 It’s real, it’s practical, it’s made students millions, and it’s freed them from the guilt, fear, confusion, and limitation that oppresses so many people around abundance and all the issues connected to it. Mastering these will unlock the mysteries of abundance and start a flow of good in your life that nothing can stop (this is a real game-changer). Everything is within you, but you must know how to unlock and unleash it. The 7 Gifts (aka The Wealth Activators) are the Master Keys. And we won’t be doing a surface study, “This is mastery-level training,” where you’ll activate, apply, and generate powerful results with each one. Most of what we've learned is exactly the opposite of how we were designed to grow and succeed. This is like the missing owners manual we've been waiting for – it'll turn on that inner wealth machine and begin generating the energy of wealth in your life again. Think of the flow of your abundance like a hose that has become al kinked up, ready to burst with pressure. And when you finally make this shift, it's like unkinking the hose and unleashing an explosion of pent up energy! This is why dramatic changes can happen FAST. Discover why the Universe is set up to fail you if you do this one thing – and how to turn this around and make the Universe your Silent Success Partner in everything you do. But how we've been conditioned and most of the things we do block this natural flow and magnify our problems. This stage of the Awakened Wealth work will open up all the channels again! When we're hypnotized, we can experience things that aren't really happening with as much vividness and power as if they were. We'll see dangerous creatures and be terrified by them – even though there's nothing there. We'll experience all kinds of physical limitations, even though nothing is holding us back. Well, the same thing is happening around wealth, abundance, and success. Virtually ALL of our limitations are illusions, mirages, hypnotic spells that we've been sleepwalking under. But until we wake up from them, they're as real as anything else in your life. And in the Awakened Wealth Mastery program, we'll apply the material from that book in a real-world way. I'll be a reverse Hypnotist helping you unravel the ways these false beliefs have infiltrated your life like weeds, so you can be free again. Debt is not caused by what we think or what we've been taught, and it's rarely solved by the ways we've been shown. In fact, the real source of debt is something so strange at first you might deny it…but then so obvious you won't believe you missed it! 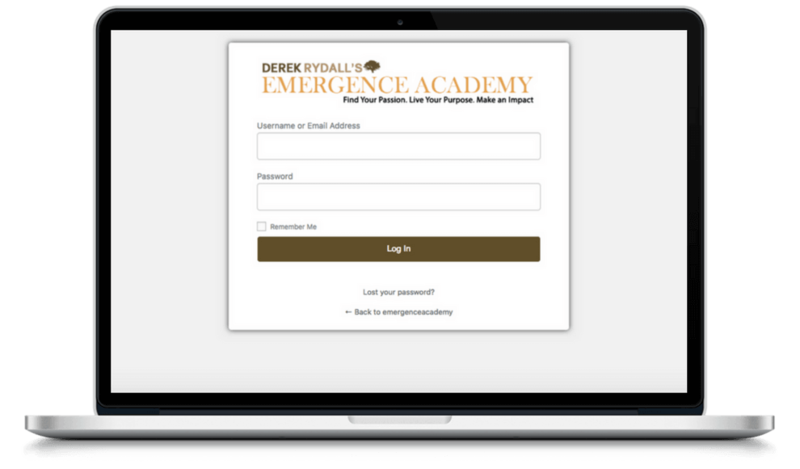 And in this program, we're going to strike at the real root of debt (which has never been taught anywhere else) so you can finally heal the guilt, shame, fear, and frustration this has caused and reclaim the energy for creating your ideal lifestyle. Do you want to become debt free – not just financially, but mentally, emotionally, and spiritually? That's real freedom. To make Awakened Wealth a way of life, I'll help you gain a level of CRYSTAL CLARITY on your specific wealth goals unlike you've ever had. And then create a BLUEPRINT for achieving them! The work we do in this section is a core reason why this program has had record numbers of breakthrough results. 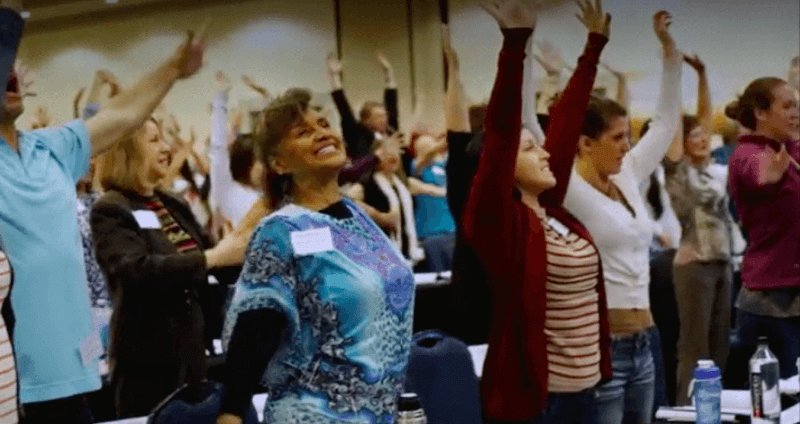 As we move through this transformational program, you'll gain a level of wealth consciousness that will begin to impact every life structure –Health, Relationships, Work, Creativity, Personal Development, and Spiritual Connection. You see, the underlying causes of lack, limitation, and low cashflow are connected to deeper issues of power, self-worth, security, and survival. 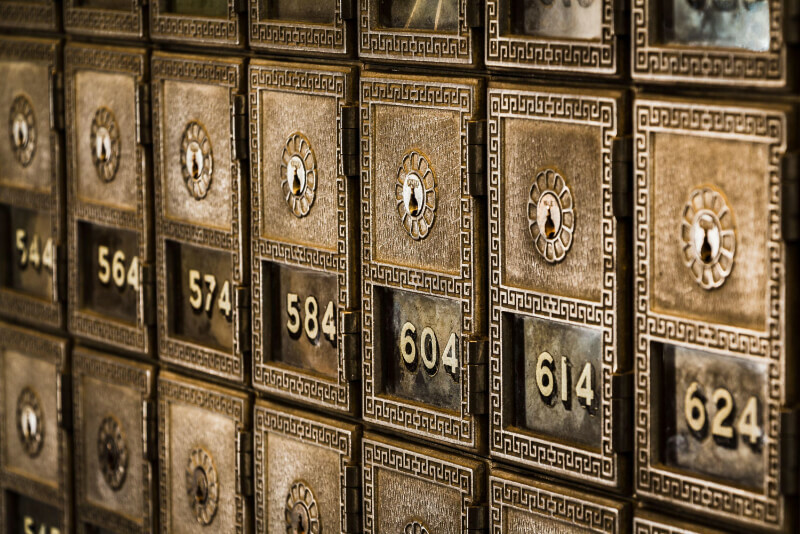 It may show up around wealth, but the leaks that are draining your bank account are coming from other areas. Through powerful exercise, practices, tools, and cutting-edge strategies – we'll start plugging up all those leaks, so that you can not only have an abundance of money, but start experiencing an abundance in every area of your life. That's real wealth. That's Awakened Wealth. This is a Private Facebook Group of people committed to creating massive abundance in every area of their life and becoming masters of the energy of wealth and money. 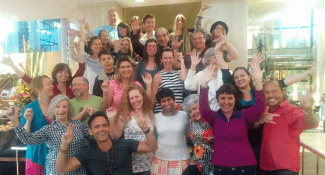 The healing vortex created when a group of people come together around a higher possibility is life-changing. It creates an environment where the limited beliefs and energies of the world begin to be neutralized and can’t keep their grip on you anymore. The benefits of being part of this transformational support group can’t be underestimated – it’s the highlight of many people in this community. And a MasterMind group like this is something people pay hundreds or thousands for on its own. Five pre-recorded group coaching calls with me, where I do 1-on-1 coaching and healing. Plus, You Get These Awesome Bonuses! And inspiration and motivation to take bold actions and make real progress! Guidance and support to make sure you stay on track. Access to more best-selling programs to support your journey of awakened wealth & success! In this one-of-a-kind live event, I'll show you how to discover your life's work hidden in your life story -- and make a living doing what you love! You'll get cutting-edge strategies for creating your signature offering, building a platform for sustainable success, and launching it in the world. You'll uncover hidden beliefs sabotaging your deepest desires and shadow patterns keeping you from living the life of your dreams. You'll meet lifelong friends, make new partnerships, and walk away deeply transformed, inspired, motivated, and armed with a plan for taking your life to the next level! In order to have access to me, my private clients pay tens of thousands of dollars, but myself and my master coaches are going to give ongoing support in the group after the program is over, answering the most pressing questions people have and adding additional cutting-edge tips, strategies, and best-practices. People pay me tens of thousands of dollars to do this kind of healing work on their emotional patterns and limited belief systems – but I’m going to do it for you for 8 weeks at no cost! Every day during this course, I’ll do specific energetic work to help eliminate the lower frequencies blocking the flow of abundance in your life, and activate the higher patterns of wealth, success, and purpose. It’s a process based on ancient spiritual technologies and the latest understanding in quantum physics. Sensitive people feel the activations. But you don’t have to feel it for it to work – it begins working on you even before you work on yourself! We all need help and support on this journey. The mental and emotional demands of life constantly bombard us and sometimes it’s hard to find the energy to take care of ourselves and do the work we know is necessary for our growth and development. What if you could have someone support you in activating your latent gifts, talents, and abilities, and dissolve the hidden blocks and barriers to your full self-expression and success? What if you could have someone do some of this heavy lifting for you? What if you could be bathed in a shower of healing, supportive, uplifting energy that opens your heart, clears your mind, and turns on your inner wealth capacity? In this program, that’s exactly what I’ll do for you. Every Single Day. Once you join, just sit back, open up, receive the flow of healing energy – and be on the lookout for the insights, breakthroughs, guidance, and seemingly miraculous openings that will begin to unfold as they lift you to the next level of your potential! THAT'S OVER $1,988 IN BONUSES! 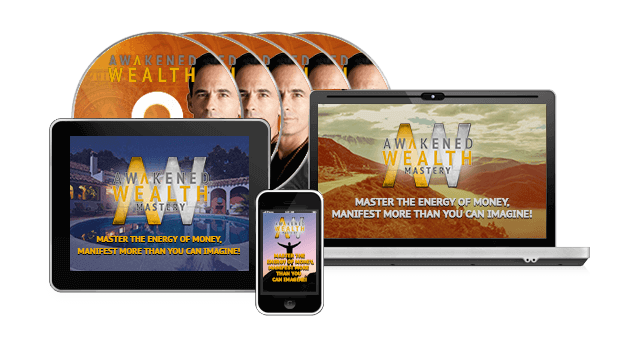 Get Instant Access toAWAKENED WEALTH MASTERYNow! * For your security, all orders are processed on a secured server. Busting Wealth Myth #1 and revealing Awakened Wealth Truth #1: I laid out the basics in the 5 Hypnotic Wealth Spells book, but here we're going to do the real work to wake up from this trance and re-pattern you for success. 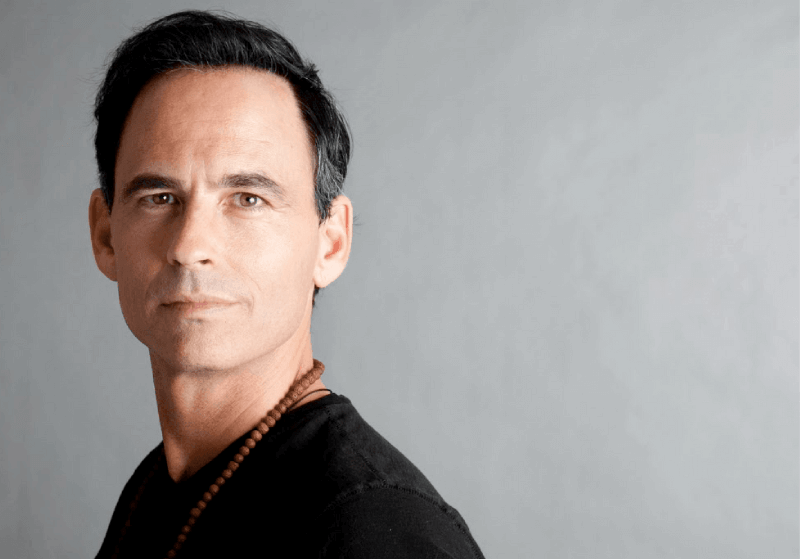 The 7 Sacred Gifts that Give You Everything: We touched upon these in the introductory videos, but we're going to unpack these gifts at a much deeper, more practical level – so that you can integrate them fully into your life. The Money Mastery Map: We'll uncover your Monthly Money Goal, Money Miracle Goal, Money Freedom Goal, and Money Mastery Goal. The 40-Day Giving Challenge: We'll embark on a group experiment to see how big we can open our channels of abundance and how quickly we can activate a flood of good in our lives and the lives of those we touch. It's going to be so much fun! Your Awakened Wealth Plan: We'll put all these pieces together into an easy-to-use plan, so that you are living on purpose not on accident! The lack of this piece of the structure is why people get short-term breakthroughs but can't sustain them…and even end up going backwards. 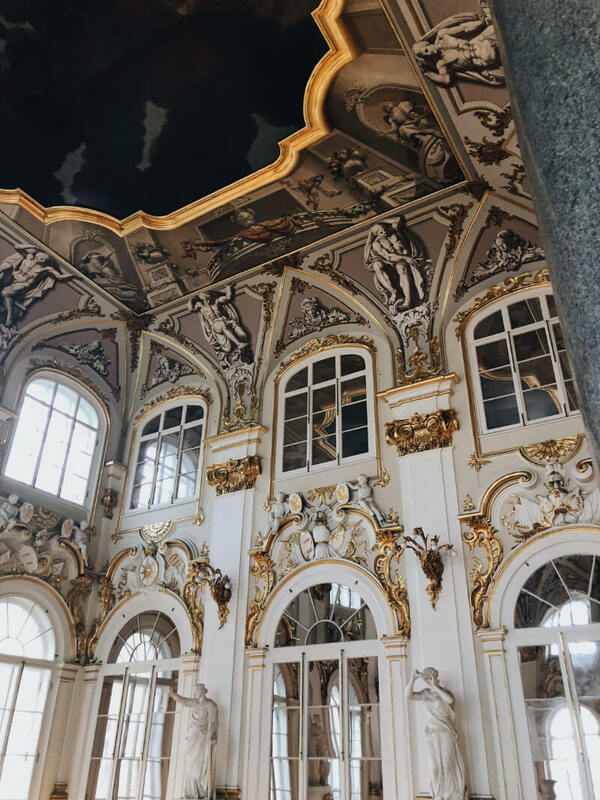 The Real Nature of Wealth: We touched upon this in the introductory videos, but here we’ll begin reconditioning your mental and emotional patterns so you can actually live from this higher level. Knowledge alone is not power – it’s the integration of that knowledge into your neuropathways and habits that makes it transformational in your life. That’s what we’re going to do. The 25 Ways to Manifest More: A fun and deceptively simple way to turn on that inner wealth machine and start producing breakthrough ideas. This is a group favorite. 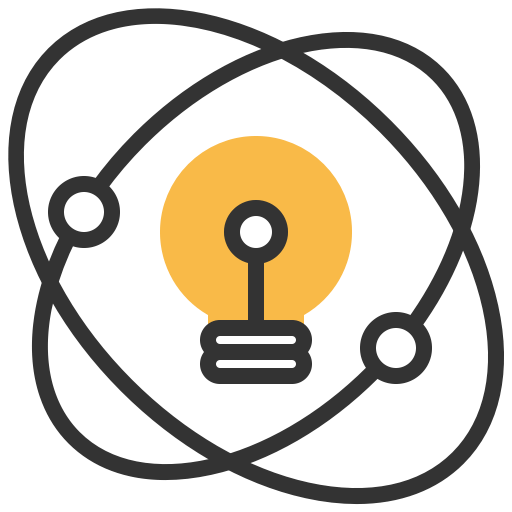 You’ll be amazed at the insights, innovative ideas, and whole new avenues of possibilities that open up for you. 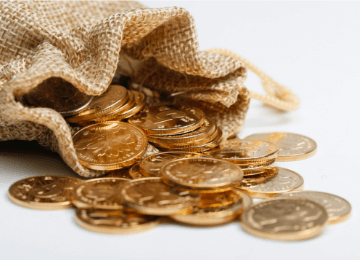 Busting Wealth Myth #2 and revealing Awakened Wealth Truth #2: More reconditioning and re-patterning around this wealth spell. Unwrapping Sacred Gifts 1 & 2, “Giving Forth” & “Giving Away”: Each class we’ll go further into understanding and applying of these Wealth Activators, creating specific action steps for rapid results. You’ll understand the real nature of flow and how to increase the volume and velocity of it in your life – which equals much more abundance. Building Your “Daily Give” Plan (part of your 40-Day Giving Challenge): Each class we’ll add more tools to your toolbox to expand your channels so that more of this vital energy of abundance can flow through you, to you, and around you. Awakened Wealth Warrior Training: Each class I’ll coach you on specific things to practice in your everyday life that’ll make these teachings come alive, bring exciting synchronicities, and build the resilience you need to stay on course until you get results. Quantum Healing: In each class, I do quantum healing prayer, activating an energetic field that encodes each recording with high frequencies. Many people have healings and breakthroughs just from listening to the recordings! Busting Wealth Myth #3 and revealing Awakened Wealth Truth #3. We will go deeper into this wealth spell and anchor specific practices to snap out of it quickly and permanently. How to Ask For What You Want & Charge What You’re Worth – and Feel Great About It! Do I even need to explain this one? All I can say is that it changed my life to get this…and it has changed the lives and professional experiences of thousands around the world. How to Make Everyone A Channel of Your Good, Not the Source! We began to unpack this powerful principle in the videos, but in the program we’re going to help you put it into practice. When you master this, you open up virtually unlimited avenues of opportunity and abundance in your life. No kidding! Self-Worth & Net-Worth Congruence Practice. This is the Emergineering part of the process, where we activate the inner vibration of your highest wealth vision – and design key elements into your life that put your success on autopilot. Unwrapping Gifts 3 & 4, “Giving Up” & “Giving In.” You’ll discover critical distinctions about these Wealth Activators that will allow you to use them in your life in more ways than you imagined. This is not to be missed! Deep Dive & Clearing on the Giving Challenge, Money Mastery Map, and Awakened Wealth Plan. We'll put all these pieces together into an easy-to-use plan, so that you are living on purpose not on accident! The lack of this piece of the structure is why people get short-term breakthroughs but can't sustain them…and even end up going backwards. Awakened Wealth Warrior Training & Quantum Healing. New tools, strategies, and activation exercises to increase the integration and address specific issues that come up at this point in the journey. Busting Wealth Myth #4 and revealing Awakened Wealth Truth #4. Here we deal with some core issues that arise around this wealth spell (and others) to make sure you don’t fall back asleep to these patterns – but stay wide awake and moving forward. From Contraction to Expansion: A Transformational Process. The key to unlimited progress and opportunity is in our ability to keep expanding in the face of challenges, versus contracting in fear or protection. Here we address the key reasons why we do this and how to get free of this downward spiral that takes many people down! Unwrapping Sacred Gifts 5 & 6, “Forgiving” & “Giving To Yourself.” If you think you know what forgiveness is, think again. 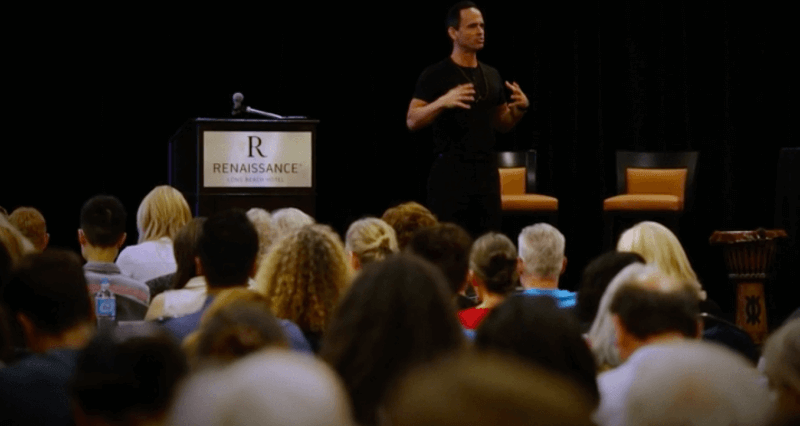 You’ll learn more about the true nature and purpose of it than you’ve ever known – and how it’s connected to your capacity to generate abundance. We’ll also go deeper into one of the most important Wealth Activators – Giving To Yourself. The lack of understanding this is the #1 cause of overwhelm and burnout. 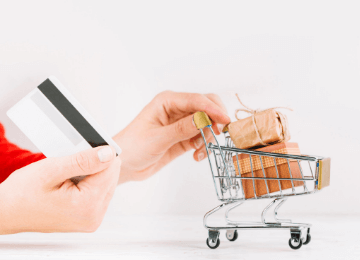 The Real Cause of Debt – and How to Eliminate It Forever! All I have to say is if you want to get out of debt and stay out of it, don’t miss this piece. Awakened Wealth Warrior Training & Quantum Healing. 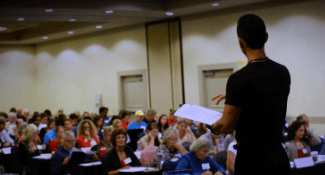 More abundance boot camp to make you an unstoppable, unbreakable, unshakable Awakened Wealth Warrior – so that nothing in the world can prevent you from moving toward your ultimate goals. Uncovering Your Values Conflicts Around Wealth, Money, & Success: Just when you thought you’d heard it all, this will show you a whole new layer of limited beliefs that have been wired into your nervous system, controlling your outcomes. Within you is a battle between conflicting values, causing your results to go up and down, back and forth, or just causing you to get stuck — like having one foot on the gas and the other on the brake. After this, you’ll be able to put things into high gear and take a quantum leap. Your Awakened Wealth Af-from-ations. This will rewire your values conflicts, and crank up production on your inner Wealth-Creating Machine. Redefining Your Awakened Wealth Vision. After all you’ve been through, all that’s been uprooted, integrated, and healed, we revisit your vision and make sure it’s as big, bold, and abundant as possible. Unwrapping Sacred Gift 7, “Giving Thanks.” When you’re done with this, you’ll understand, appreciate, and activate gratitude at a whole new level! The Journey of Awakened Wealth… My intention is that you get real-world results. So at this stage, we’ll make sure we’ll covering everything we need to prepare you for the next stage of the process…and to get a jump start on the 3-Week Integration Program. First of all, if this is you, I’m so sorry you’ve been struggling so long. Sincerely, that is a hard road to walk. And in a very real sense, it’s not your fault. We’re all subject to these limited beliefs – actually victimized by them until we wake up and take back our power. The good news is it’s not personal, it’s principle. And the principle doesn’t know how long you’ve been struggling; when you apply it correctly, you reap the results. 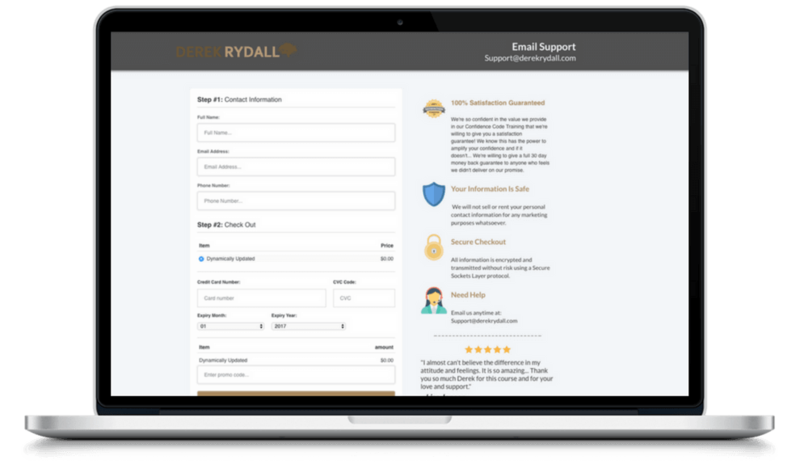 You’re not broken, you just haven’t had the tools and the support to get real-world results. That’s what this is designed for. This is not a get-rich quick scheme; in fact, it’s not about ‘getting’ rich at all – because you can’t ‘get’ what you already have. This is about understanding your TRUE relationship to wealth, and mastering the principles to access and express the infinite abundance already within you. For one person, that may appear as a million dollars; for another it may show up as a thriving business or full client roster; and for another, it may lead to finally making a living doing what they love. However it shows up, it shows up as more than enough to live a fulfilled and purposeful life. If you can’t afford to invest a small amount to build a consciousness of wealth that can allow you to finally live the abundant life you’re meant to – you can’t afford not to do this. One way or another, you must address the lack-mentality creating your current experience, because you were not born to suffer in lack. If you have a better option, go for it! But if this is what’s showing up, and it resonates, then it’s time to say YES to your YES! I totally understand that sentiment – and it’s also why you’re broke! Sorry to be so blunt (not really ) Money isn’t the problem. Sales, marketing, making a living isn’t the problem. The problem is the false beliefs that separate them from spirit and love. You can be ‘right’ about how money, sales, or success is not spiritual – and demonstrate that the Universe is a limited place and spiritual or creative people live from hand to mouth. Or you can be abundant beyond your wildest dreams, feel GREAT about it, and add massive value to everyone as a result! Your choice. There are some good teachings out there. But in studying and researching many of them, they're mostly an outside-in model of life, which simply isn't accurate. And even the ones that address internal issues as part of wealth creation, often do it as a means to attract or achieve something outside of them. From the Emergence model, we now know this isn't an accurate picture of reality, anymore than it is to say the 'sun rises and sets.' The sun never rises or sets. The sun isn't moving, relative to the earth. We are rotating and that creates the illusion of a sun rising and setting (it's also not very romantic to say, "hey, darling, let's go watch the planet revolve!" Unless your partner is an astronomer). 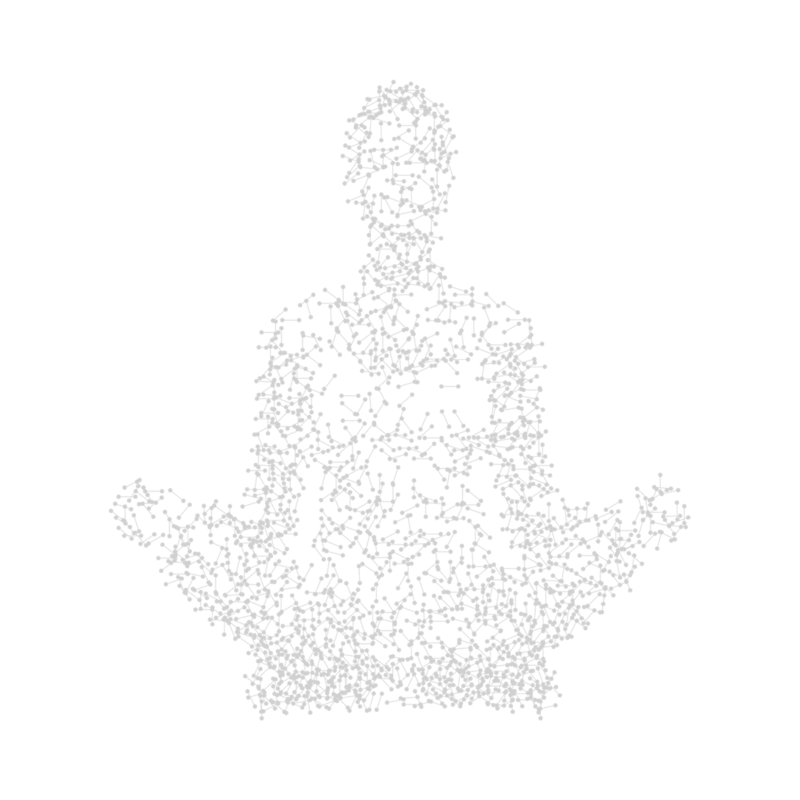 So when you try these other techniques, without being firmly rooted in the true nature of this emergent Universe, you create more resistance, struggle, and frustration than results. 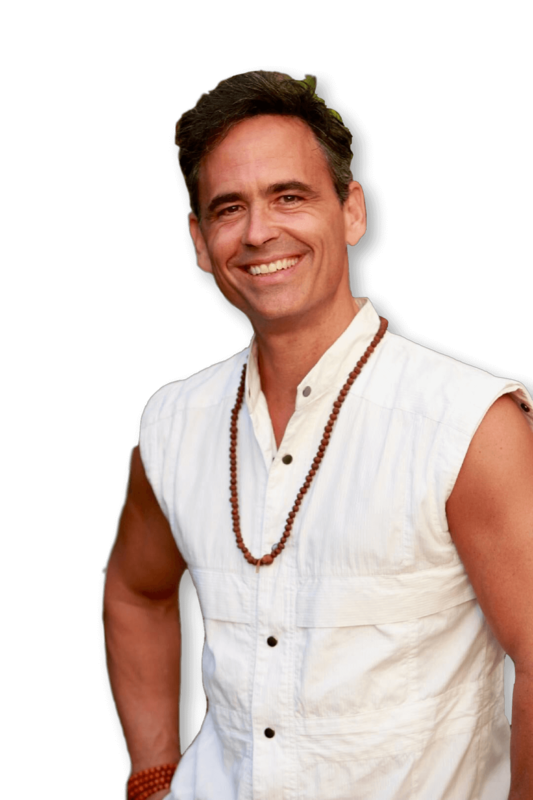 This is a whole new technology for living – actually it's ancient perennial truth, but it has been largely misunderstood or incorrectly applied. What has being stuck cost you in the last few years? What will it cost you in the next 6-12 months? What opportunities will you miss? How will this affect you emotionally, your relationships, your abundance, your health? If you feel the resonance, that inner ‘yes’ – even if it’s a ‘yes, but…’ – that’s the signal that something is trying to emerge NOW. If you say YES to your yes, that is what sets you up for the quantum leap you’ve been waiting for. This is your time. This is your year. Let’s take it to the next level together! How much time and energy is spent figuring out how to make money and meet all the worldly needs, and then how to keep it and keep making it? How much time is spent earning money doing something other than what you were created for? Can you imagine what nature would look like if oak trees had to moonlight as pine trees and fish had to work weekends building bird nests to pay the bills?! There's a natural order to the Universe. You're not meant to work for a living, to struggle by the sweat of your brow, to do things that aren't natural to you in order to make it. That's why I'm dedicated to helping you discover and become aligned again with this order, this abundant Universe, so that you can live your Big Vision. I'm committed to helping you get so connected to source and so congruent with wealth consciousness that you never have to worry about making a living again! It can happen and it will happen when you understand and apply the science of conscious wealth-creation that Awakened Wealth is based on. I'm not saying it's about having millions of dollars (although there's nothing wrong with that), but it is about having enough. MORE THAN ENOUGH. It's about having A CONSCIOUSNESS OF WEALTH that allows you to manifest whatever you need, whenever you need it, no matter what. Creating a life of true wealth and abundance isn't just about having more money and stuff – although there's nothing wrong with having the best of everything you need – it's about creating a life that allows you to live your true meaning and purpose. In other words, not having enough doesn't just rob you of the life you were born for – it robs everyone else of the gifts you were born to share! In addition to the 5-Week Coaching & Activation Calls that compliment the 5 weekly training modules, you're also going to get 3 additional weeks of integration workshops. Imagine if Einstein had to work as an insurance salesman instead of devoting his time to his scientific arts. What if Oprah had to work a 9-5 job she didn’t love and didn’t have time to pursue her dreams? If Edison was too busy trying to ‘make a living’ to have time for inventing stuff, we would all be in the dark! Think of all the great leaders, artists, authors, teachers, healers, inventors and entrepreneurs who have made significant contributions to the world – and what a loss it would have been if they were so busy struggling to make ends meet that they couldn't dedicate themselves to their true calling. Creating a life that is abundant enough that money doesn't hold you back from living your purpose IS A SACRED ACT AND OBLIGATION. Are you ready to stop getting ready and master this area of your life once and for all – so you can stop sitting on the sidelines of life and play full out? FROM $50 A DAY TO $50,000 AN HOUR! …to building a thriving business that allows me to serve hundreds of thousands of people around the planet doing what I love most – helping them to get the same kinds of results. And I'm going to show you how to do the same, according to your unique blueprint. 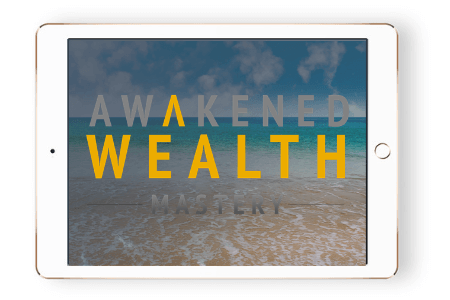 In this "AWAKENED WEALTH MASTERY" program, you'll discover and master the universal principles for creating a life of consistent abundance – regardless of the conditions you face. This is the 'Perennial Teaching' at the heart of all great spiritual, philosophical or success teachings throughout history – but has been largely misunderstood or completely lost in translation. I have distilled them down into a simple, step-by-step system that finally makes them practical for our modern times. …and I'm going to reveal all of them to you, then work with you to release, heal, or integrate them! 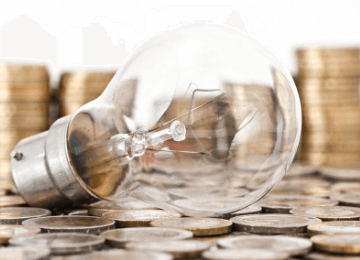 This is not theory, this is a proven, time-tested process for turning on that inner wealth-creating mechanism that has been lying dormant for so long – and then creating the outer structures to fully support and sustain it. Plus, you'll learn the best-practices for applying these principles in your business, on your job, with clients, and even with your family, so you can ask for anything you want and charge what you're really worth – without shame, guilt, or apology, knowing you are adding massive value to everyone you interact with. And to support all of this, I am encoding the audios with high frequency energy that works on you even before you work on yourself…plus doing DAILY HEALING WORK for you — activating your wealth consciousness and dissolving unconscious blocks that have been holding you back!